This gallery shows a different side to the Loveless Sub-hilt fighter. This version is lighter, can be made shorter and easier to conceal. custom concealable sub-hilts made to order. 440c stainless steel and is slightly fileworked on the tang spine. 416 stainless steel handle pins with a 304 stainless lined lanyard hole. Price for a similar piece is USD$700. 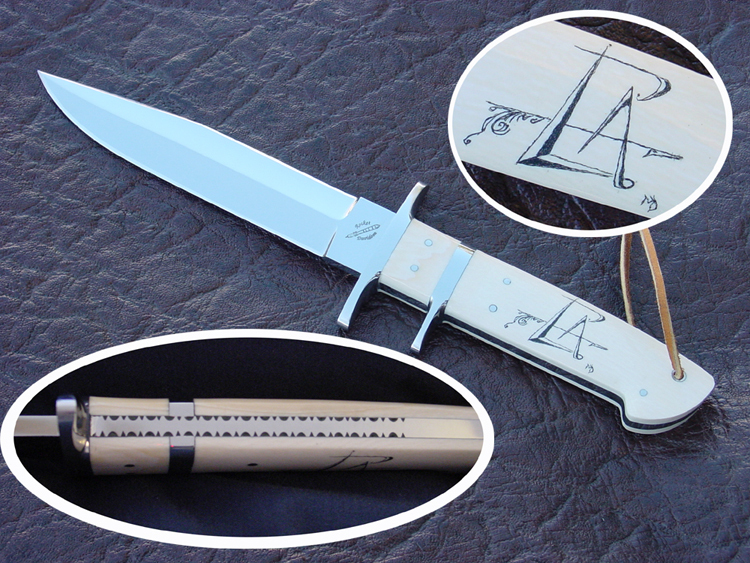 All concealable sub-hilts are fitted with a custom hand stitched leather sheath. Below shows a popular version of the sub-hilt with a carbon fiber handle. 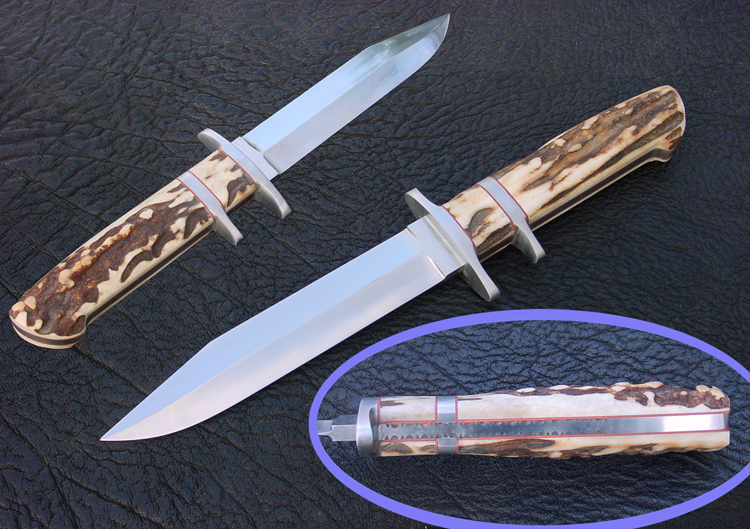 This one has an 5 1/2" blade made from 5/32" thick 440c stainless steel. 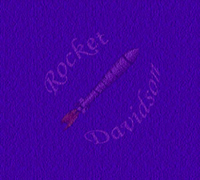 red vulcanized paper liner for color. Handle is held in place by stainless steel mosaic handle pins. 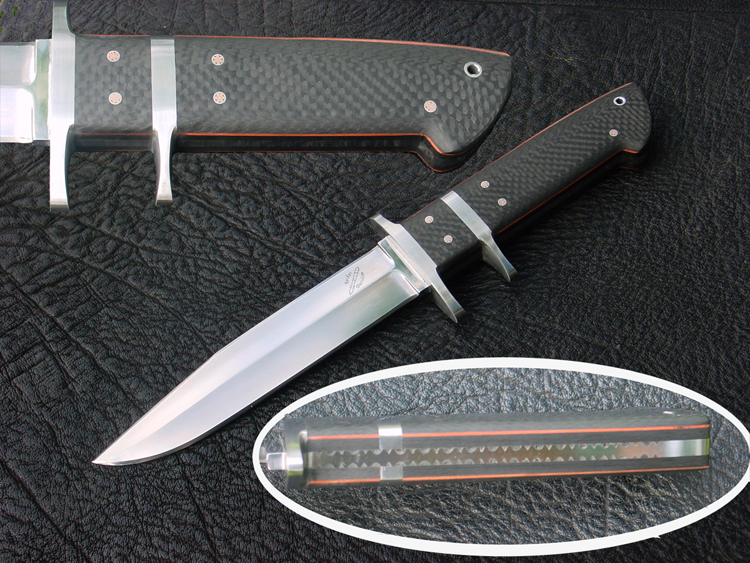 Price for the 5 1/2" carbon fiber sub-hilt is USD$550. made from ATS34 and is slightly fileworked on its' spine. This piece has a great "feel" with its' sambar stag handle scales. is slightly heavier than most concealables. The guards are made from 416 stainless steel. Price for this concealable sub-hilt is USD$650.